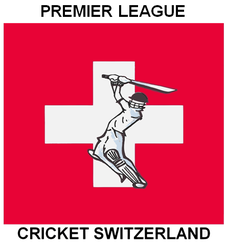 Winterthur started their 2015 CSPL campaign on the road at LA Schönau against six times champions Berne Cricket Club. After driving up and down the road to locate a parking spot the WCC team transport finally made it to the ground. However, once at the ground things started to look more positive, Tom winning the toss and electing to take to the field, in line with what the team wanted, to giove themselves a chance to see how the pitch played. With hopes high and without any catching practice, WCC XI walked out to the middle. The captain team-talk was clear, 3 to 4 wickets in the first 15 overs and total not more than 140. And thanks to Veena Mampilly for taking up the scorer's role, the WCC cause was helped by being free to play with 11 on the field. Our bowling started with a bang! The first ball straight on the pads in line with middle stump, but the appeal was turned down! Nevertheless, two balls later Rahul struck and WCC got their first wicket. Imran on the other hand, struggled to find his line and length in the first couple of overs. Rahul continued to take a wicket every over he bowled, his second over resulting in a double wicket maiden. In the 5th over Berne were struggling, having lost 4 wickets and only 24 runs on the board. But Jithin 37 (76) and Farhan got to work on restoring some respectability, taking the score to 77-5 off 15 overs. Farhan was doing all the damage, causing Tom to take the brave decision to stand up to the wicket in an effort to restrict Farhan 33 (34) to the crease. This worked in WCC's favour. WCC bowlers fought well, supported by in the field by holding on to all the catches. In the next ten overs Berne added another 41 runs to score for the loss of a further 3 wickets taking their score to 118 for 8. The tail wagged and had added another 20 runs until Jagath put an end to the Berne innings taking the last wicket. WCC batting also started with a bang. Selva's request for the bowler to use football was denied and a cricket ball was used instead! All that can be said is "he came, he saw and he left". And it all happened in one ball. Praful faced an evil ball which never really rose from the dead pitch, resulting in his wicket. But just as things started to look bad, Jagath took responsibility, accompanied by the mighty Sara to building a partnership. Sara's mighty 6 cost NASA 2 Billion dollars as they had to sent a rover to pick the ball from Moon. Meanwhile on Earth, Berne sent Sara back home in the next ball. While WCC where collapsing and batsman doing charity work in between, Jagath played sensibly and kept the scoreboard ticking along. At the other end Rod provided Jagath with some support, but unfortunately after drinks Jagath's wicket fell (moral: don't drink and play). Jagath played mature and sensible cricket and scored 20 for the team. Tom went in to bat with the sole intention of witnessing the game up and close on the ground, as he got LBW by just watching the ball hit his pads and did not even play the ball. Hasta walked in with confidence and showed how its done! Hasta and Rod provided the WCC with some hope, both batsman playing sensibly, especially Rod (26) who played an excellent innings! To compare, WCC were 10 for 2 in 5 overs and 36 for 5 in 15 overs, 73 for 7 in 25 overs and eventually scored 98 runs in 33.2 overs. Overall, WCC played well, unfortunately, not well enough for a win, with our hopes being the only high element on the ground as the pitch was dead! There was not much we could do. Our bowling attack was good ! we executed the plan brilliantly ! Mohamed, Selva, Rod, Jagath and Praf where extremely sharp in fielding..diving stops, reducing boundaries to 2 runs, hard chases and throw back to Keeper and non striker's end were perfect ! Start bowlers were Rahul 5-17 in 8 overs, Jagath 3-16 in 6.2 overs and Hasta 2-17 in 4 overs. Imran, Asghar and Rod were expensive with no wickets. Batting was disappointing apart from Rod and Jagath who fought extremely well for WCC but had no support. Our top order batsmen need to score. There is no magic formula. Again, there are lot of positives in this match than negatives as we held on to all catches, fielding was sharp, bowling attack was good, the best of the best ! team spirit was the highlight of the game ! we played as a unit and one voice, sleepy heads like Imran, Sara and Asghar along with the others were all chirpy and cheering the team throughout the match, which made a huge difference. Motivated WCC team proudly looking forward to the next challenge and our first win !